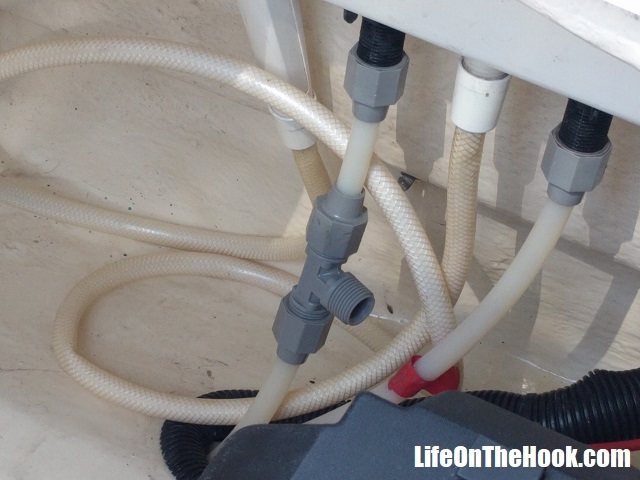 Here’s another item in our Boat Hacks series, which are posts about little things that solve little problems. 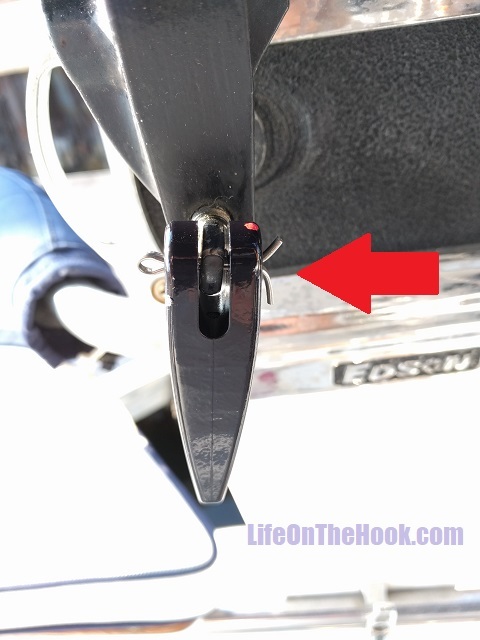 Today we’re looking at an easy fix to a recurring problem that has dogged us for quite some time, the dreaded issue of outboard motor clamp lock. 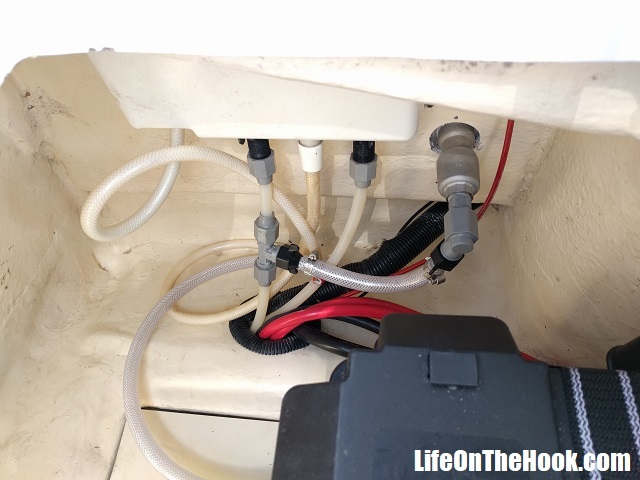 There are a lot of things to dislike about outboard motors. My feelings toward them are about the same as my feelings towards horses – they’re evil, spiteful things that continually look for ways to openly defy and frustrate you, and you count your blessings if they uneventfully deliver you to your destination. 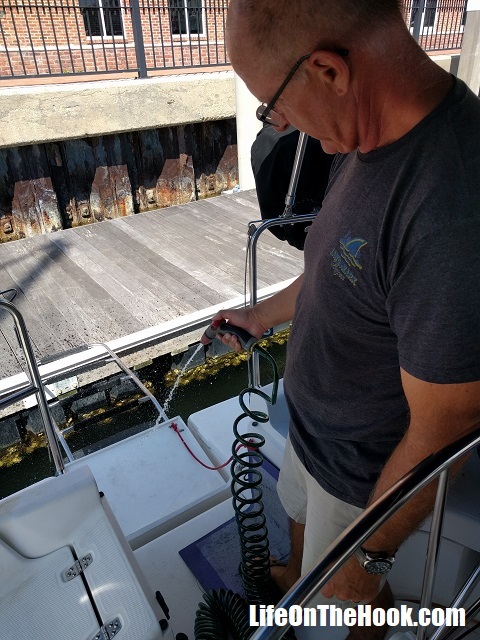 One major source of problems comes from the use of materials that aren’t fully compatible with a marine environment, or at least a saltwater marine environment. 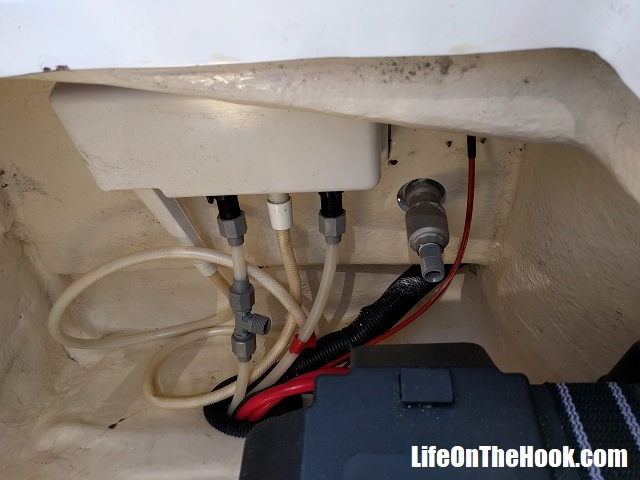 For instance, the screw clamps that you tighten to lock the outboard in place are made of a metal that doesn’t really get along well with the engine mount casting. Consequently, if left alone for too long, corrosion causes them to seize up. 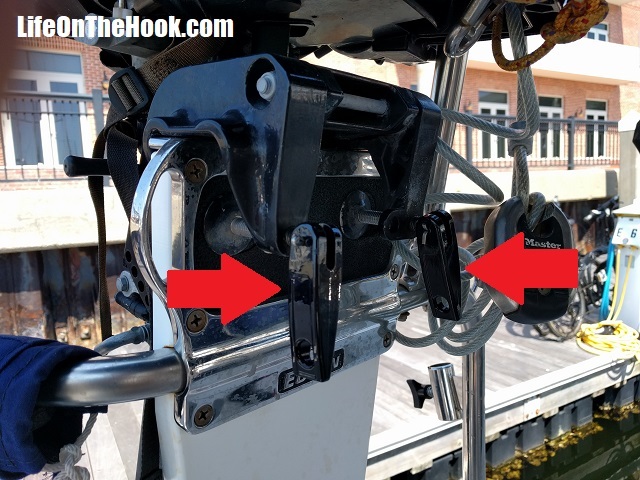 When they do, the short toggle handles you have to use to loosen/tighten the screw clamps are too short to apply sufficient force to break them free. 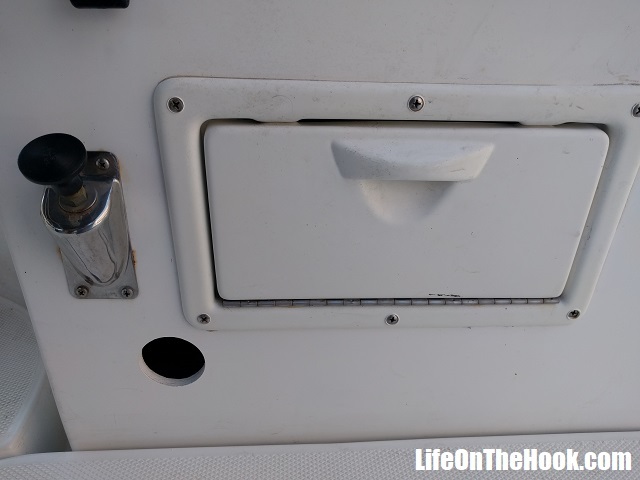 I’ve kept a short length of stainless rail in the stern locker to slip over the toggles to use as a cheater bar to get extra leverage, but if you get overzealous, then you shear off the toggle pins and the handles fall off. We keep a small supply of these pins onboard as replacements since they seem to break pretty frequently. The thing about these shear pins though is that you peen them in place with a hammer, and they’re not designed to be removed. Recently our screw clamps froze up so firmly that I actually fractured the toggle handles themselves trying to get the clamps to turn. 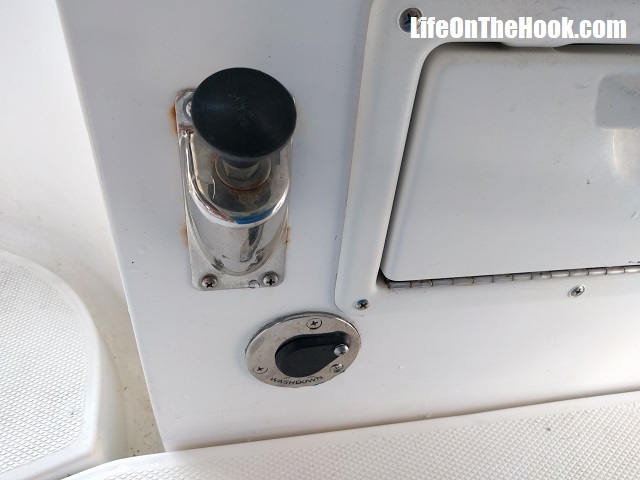 Life actually got a bit easier as a result, because with the toggles now gone I could just put a crescent wrench on the end of the screws to turn them. 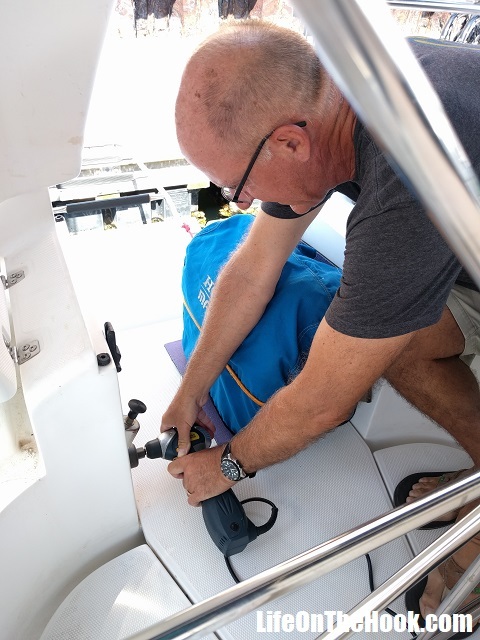 But I didn’t like the idea of having to always remember to grab a wrench when I wanted to put the outboard on the dinghy. Then I had my “duh” moment. 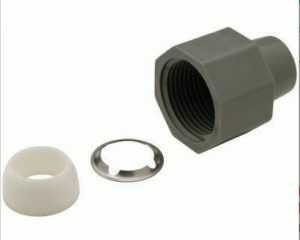 Instead of replacing the toggle pins with another set that are peened in place, why not just use a couple of stainless cotter pins? 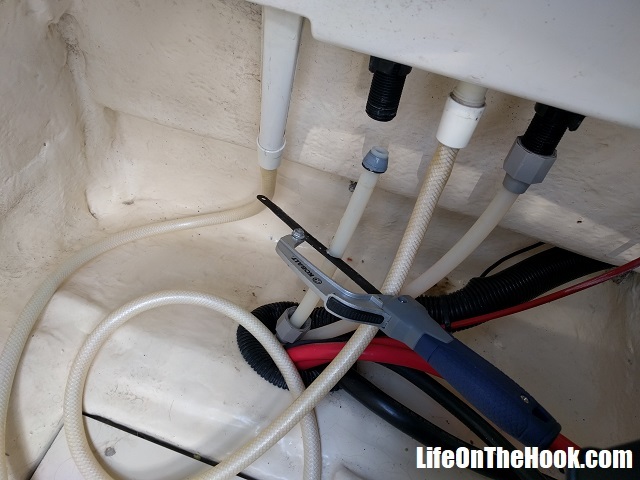 That way I could use the toggle handles to tighten up the outboard, but if the clamps seize up, I could just pop the cotter pins out and remove the toggle handles so that I could put a wrench on the head of the clamp screws. 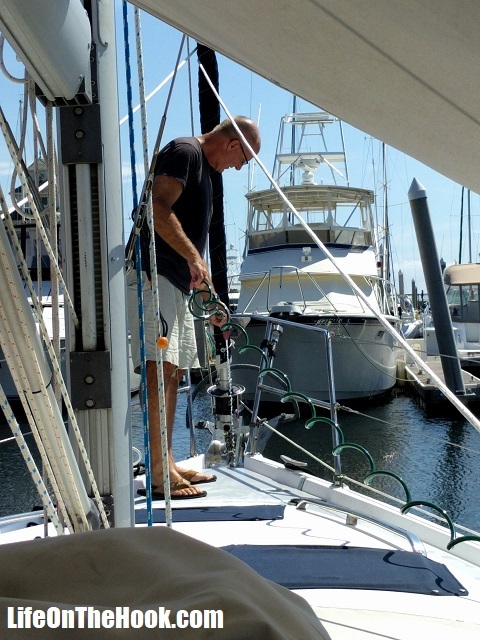 Since we’re a sailboat, we keep a handy box of various sizes of stainless pins and rings onboard. I found two that fit, popped them in, and they worked great. The true solution to this problem is following a proper preventative maintenance schedule, and I’ll have a post soon about PMS (the non-hormonal type). But it’s good to know that if this issue ever gets away from us again and the screw clamps seize up, I can just pull out these cotter pins to bring more power to the problem in the form of leverage from a big wrench. 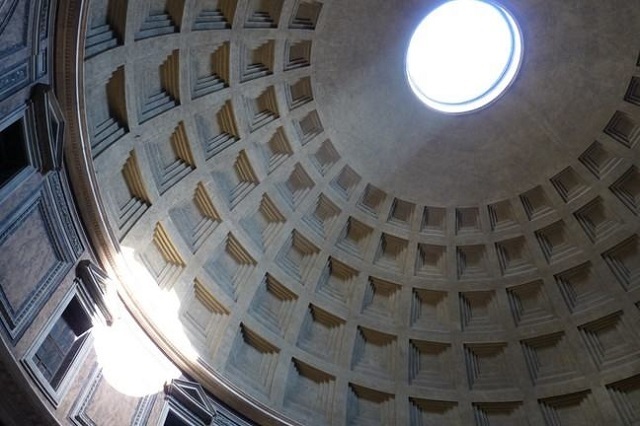 This entry was posted in How? 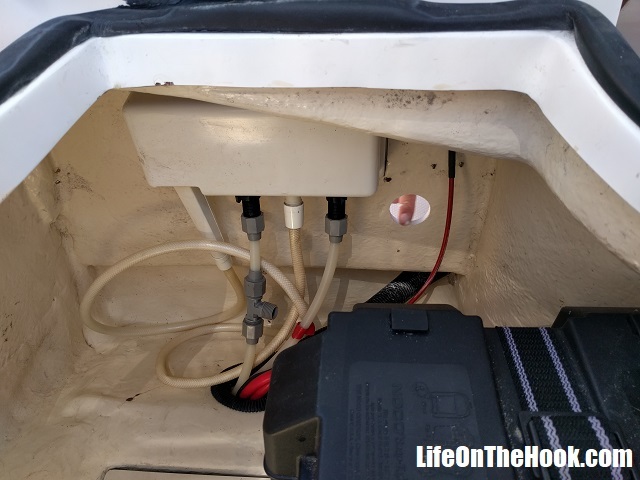 and tagged boat hacks, FIxing outboard toggle handles, Outboard motor hacks on September 22, 2017 by Robert. 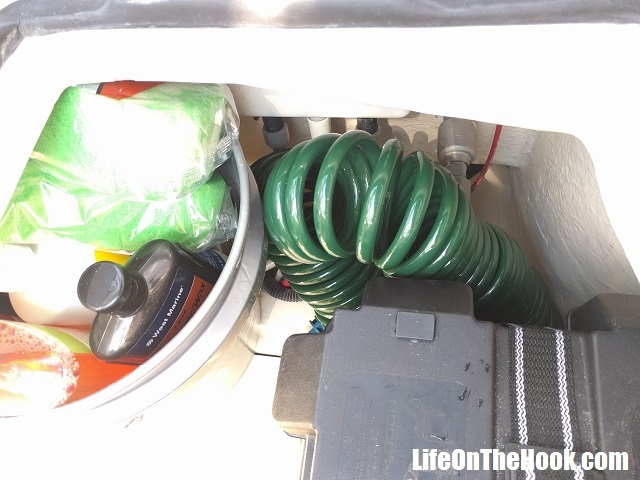 If you’ve spent any time around boats, you know how valuable storage space is. 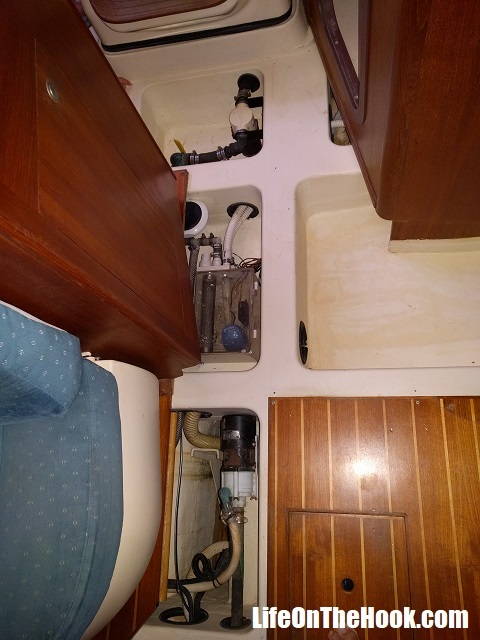 There’s never enough room for all the “stuff” you want to bring onboard, and being a cruiser and liveaboard means life is a constant exercise in possessional triage, where every item has to have enough value and utility to make the cut and find a home on board, with the rest ending up stored ashore or disposed of. Things are even a bit worse when you own a Hunter, like we do. 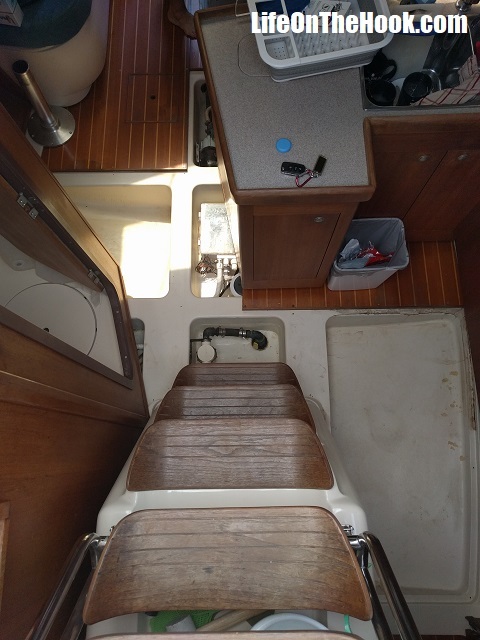 Hunter put a great deal of effort into packing the biggest living spaces possible into the hull, which makes the boat live like one that’s significantly larger. But it comes at the expense of little things like storage lockers. You get a lot of room to lounge on a Hunter, but not a lot of places to store stuff. So when we find a way to turn an unused area into a locker, we jump on it. 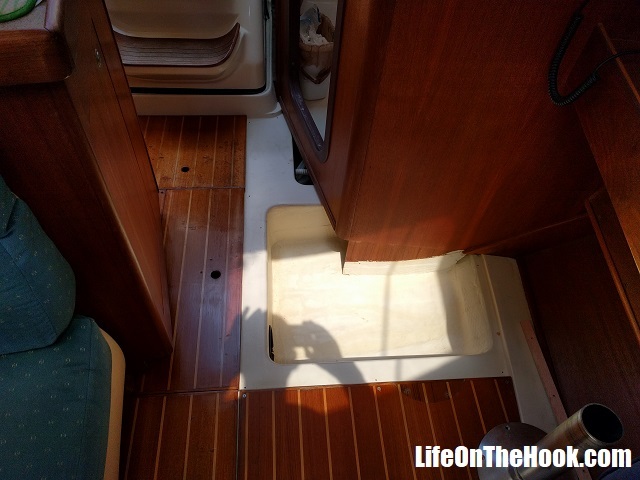 While waiting around to see what Hurricane Irma was going to do, we decided to start pulling out our cabin sole (interior floor) to apply some coats of polyurethane. 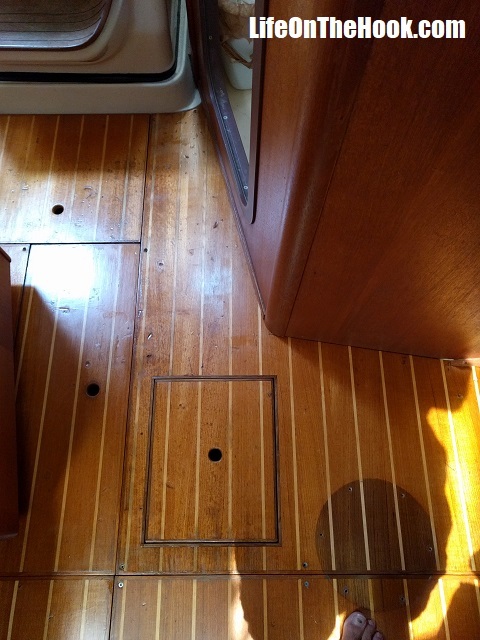 When we unscrewed the chart table seat from the deck and removed the sole panel, we found this vacant, completely empty, totally unused void. There’s probably two whole cubic feet of potential storage there! Enough to allow for a significant expansion of our wine collection, an additional case of beer, or possibly even something practical, like groceries and spare parts. 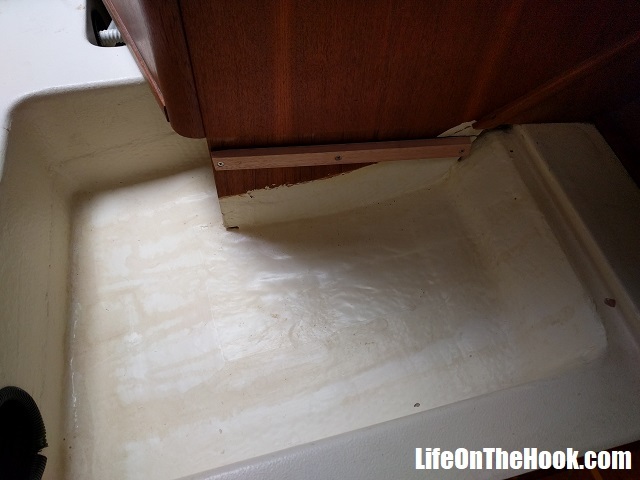 We know a really good, reasonably priced marine carpenter here in Pensacola, so I immediately gave him a call to ask him how busy he was at the moment. As things worked out, his truck was at the repair shop and he was just puttering around his shop working on this and that. Could he do a quick plunge-cut on a sole board to put in an access panel, I asked him? Sure, drop it on by, he said. So we dropped the panel off, and four hours later we had a newly cut and trimmed out access panel, opening up this formerly sealed void that probably hadn’t seen the light of day since April of 1997 when Eagle Too was built. 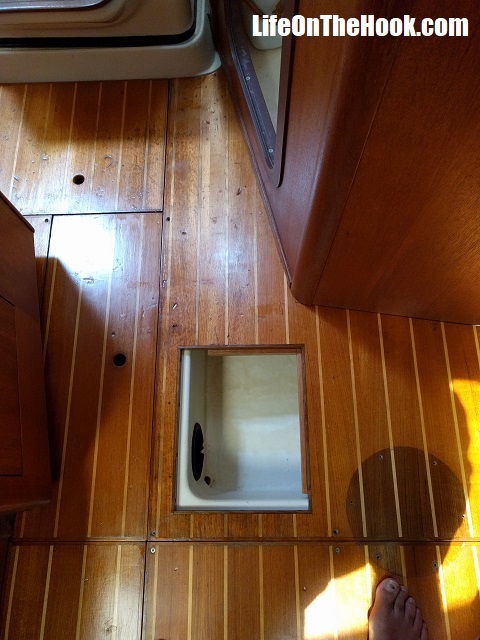 Cutting the hole took a lot of the strength out of the panel, so before reinstalling it we attached a cleat to the head bulkhead to support the edge of the sole panel. I’m actually surprised the factory hadn’t put a support cleat here since that was such a large, unsupported span, and it explains why that particular floor board always creaked when walked on. Do you own one of the hundreds of Hunter 376’s (or possibly a 380 or maybe even a 386, which are later versions of the same boat)? Then you might want to look into opening up this enclosed void. Because it’s an easy way to create a couple of cubic feet of that most valuable of spaces, a place to store your stuff. This entry was posted in What?, Where? and tagged Hunter 376 380 386 projects, Hunter 376 380 386 storage, Hunter 376 Storage Locker, Making space on a Hunter 376 on September 15, 2017 by Robert. 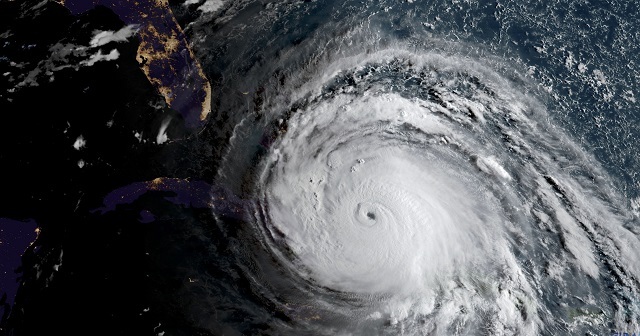 One hundred and seventeen years ago this week, the National Weather Service office in Galveston, Texas received spotty reports via telegraph of possible storm conditions in Cuba. 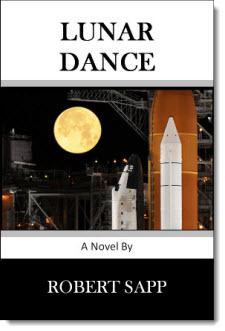 Anecdotal information from ships arriving at the port indicated that something serious was possibly brewing in the Gulf of Mexico. On the morning of September 8th, 1900, the manager of the weather service office noted a falling barometer and a steadily increasing wind. By midnight, between 6,000 and 12,000 residents of Galveston were dead, killed by the wind and surge effects of a direct hit by a major hurricane that no one saw coming. To this day it’s unknown how many ultimately died, as the bodies of the drowned were burned in huge funeral pyres on the beach to prevent the spread of disease from the rotting corpses. There is no count of how many simply washed out to sea, never to be seen again. Yesterday, Hurricane Irma roared ashore in the Florida Keys as a strong category four storm. Although similar in size and strength to that estimated for the Great Storm of 1900, only a handful of deaths have been attributed to it. The difference is technology. In 1900, there were no weather satellites or remotely monitored ocean buoys. No Weather Channel to provide updates, and no radio to spread the word of approaching danger. Ships returning from sea were the only reliable sources of offshore weather information, which in many cases was days or weeks old by the time they made port. On that fateful Saturday morning 117 years ago, most citizens of Galveston probably awoke and went about their business, completely unaware that by midnight, they’d be struggling for their lives, a battle that thousands would lose. Today we can see a storm before it’s even born, rolling off the coast of Africa as a tropical wave. We can follow it as it forms and develops, predict its path, and observe its impact on those whose lives it crosses. But there is a small downside to this. 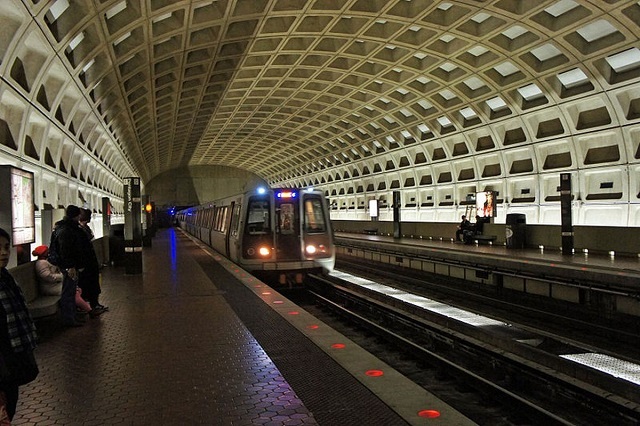 Thanks to our technology, we now have a week or more to fret, worry, and obsess about what may come. Days of watching stores sell out of water and gas, resupply, and then sell out again. Days to watch shelters open and highways clog as evacuees jam the roadways, fleeing the predicted point of impact. Days to view looping videos endlessly repeating reports of destruction from places already hit, as sandbags are filled and emergency measures implemented in the places that are next in line. Don’t get me wrong. I’m happy beyond measure that through our technology, we can avoid a disaster like the Great Storm of 1900. But it does take its toll in sleepless nights and high anxiety, waiting and watching, watching and waiting. I’ll be immensely happy when this whole thing is finally over, and everyone we know in the affected areas has checked in as safe. We’ve been extremely fortunate this time. Hurricane Irma stayed far enough to our east that we only felt some gale force gusts and a few light sprinkles. Since we’re tucked into a slip that sits directly below a three story building, effectively protecting us from the north winds the storm is generating here, we just removed all loose gear topside. We didn’t have to implement our hurricane plan, which would have had us moving Eagle Too to the well protected Bayou Grande Marina at Naval Air Station Pensacola and then evacuating inland. 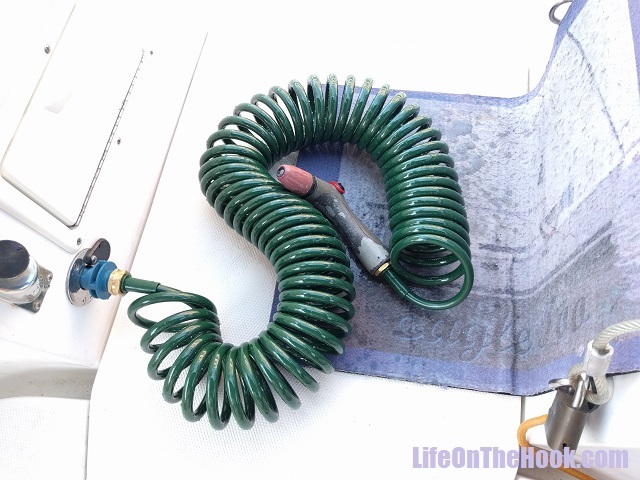 We still had our mooring lines doubled up from our trip to Charleston SC a few weeks ago to see the solar eclipse, and because our mooring cleats have a fair lead and don’t run through chocks (since chocks are probably the worst idea ever implemented on a boat, guaranteeing maximum line chaff during a blow), we didn’t have to add chaff gear. 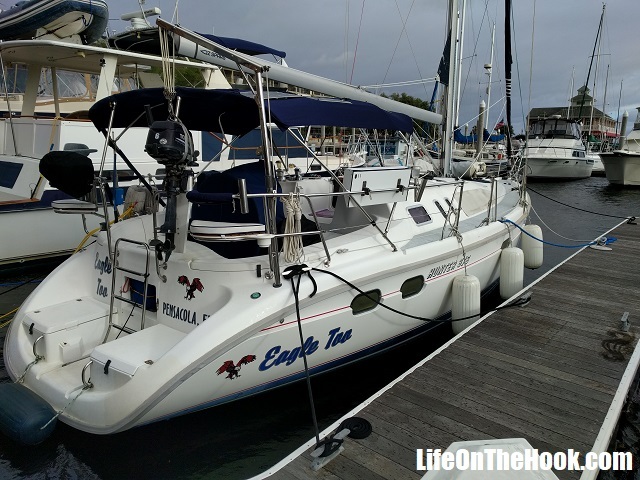 With maximum gusts predicted to be less than 35 knots (about 40 mph), or about what a passing thunderstorm produces, I saw no need to strip the sails, and we didn’t have to collapse our solar panel-covered bimini , as I engineered it to take 50 knot winds (although we did remove our Sunbrella sunshade). Yes, after a week of following the weather reports, we’re suffering from a severe case of storm fatigue. But we’re very conscious of the fact that friends of ours, people we’ve met in our travels down in the Islands and who keep their boats in places like the Keys, Marco Island, Vero Beach, Bradenton and St Petersburg, would probably trade places with us in an instant. We hope that they and their boats are all well, and that this will be the last time we need deal with such a situation this hurricane season. This entry was posted in What? and tagged Hurricane Irma, Hurricane Irma Pensacola, Storm Fatigue, The Great Storm of 1900 on September 11, 2017 by Robert.